The World Wildlife Fund (WWF) granted the status of official national coordinator of International “Earth Hour” campaign (www.earthhour.org) to IDEA Public Union. “Earth Hour” campaign has firstly been launched by the World Wildlife Fund (WWF) in Australia in 2007. The aim of the campaign is to draw public attention to the concerns of the climate change. During “Earth Hour” actions, facade lights of famous buildings are turned-off in the big cities at 20:30 in the local time for an hour and the attendants promote energy saving through this symbolic action. As known, greenhouse gases, that emitted to the atmosphere during the process of electricity production, are considered one of the key reasons of the climate change. In this regard, during “Earth Hour” actions sustainable use of energy is whirled. “Earth Hour” campaign is celebrated on the last Saturday of March every year and it is observed that attention of world community to this event is getting increased year after year. As a result, in 2014 more than 7000 cities from 162 countries and a billion people have joined the campaign all over the world. As the official national coordinator of the campaign, IDEA has acquired the right to hold massive actions and events in Azerbaijan. 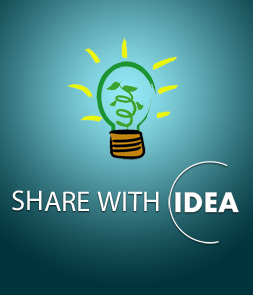 IDEA Public Union invites public and private organizations, as well as ordinary people that wish to participate in “Earth Hour” action, which will be held on 28 March 2015 in Baku, to contact the IDEA office (info@ideacampaign.org, tel. : 497-6316).